I am a little behind getting next month's calendar out. My inspiration for this calendar came from this set of bowls that I found on Pinterest. I search Pinterest for color combo ideas for my printables. 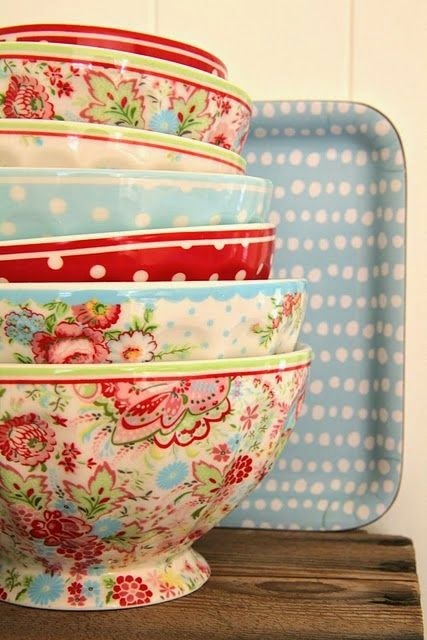 As I was scouring Pinterest I ran across these beautiful bowls and was reminded of the verse in Isaiah 64 about us being the clay in God's hands so I included that verse on the calendar. I hope you are able to print and enjoy this calendar. 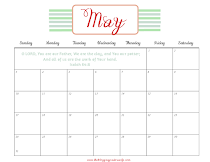 Check back next month for the June calendar. 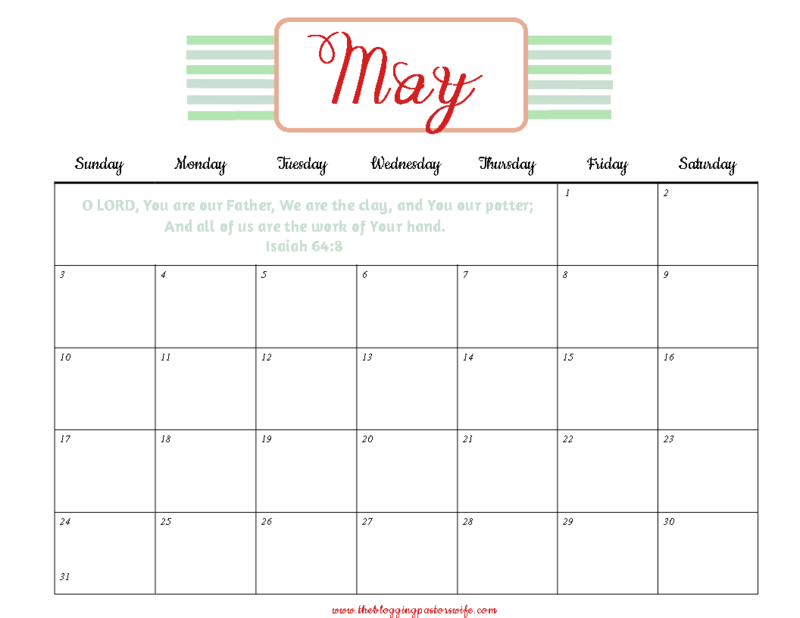 FYI - my calendars are the most popular printables on my Blog. I never thought a calendar would bring so many people to my site, but they do! If you are dropping by for the calendar, welcome. Thank you so much for stopping by today.